Jewish philosophy refers to the conjunction between serious study of philosophy and Jewish theology. Major Jewish philosophers include Solomon ibn Gabirol, Saadia Gaon, Maimonides, and Gersonides. Major changes occurred in response to the Enlightenment (late 1700s to early 1800s) leading to the post-Enlightenment Jewish philosophers. Modern Jewish philosophy consists of both Orthodox and non-Orthodox oriented philosophy. Notable among Orthodox Jewish philosophers are Eliyahu Eliezer Dessler, Joseph B. Soloveitchik, and Yitzchok Hutner. Well-known non-Orthodox Jewish philosophers include Martin Buber, Franz Rosenzweig, Mordecai Kaplan, Abraham Joshua Heschel, and Emmanuel Lévinas. According to traditional Jewish Law, a Jew is anyone either born of a Jewish mother or converted to Judaism in accord with Jewish Law. American Reform Judaism and British Liberal Judaism accept the child of one Jewish parent (father or mother) as Jewish if the parents raise the child with a Jewish identity. All mainstream forms of Judaism today are open to sincere converts. 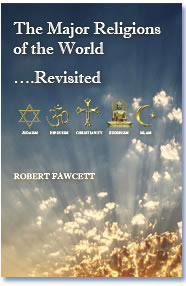 The conversion process is evaluated by an authority, and the convert is examined on his sincerity and knowledge. Traditional Judaism maintains that a Jew, whether by birth or conversion, is a Jew forever. Thus a Jew, who claims to be an atheist, or converts to another religion, is still considered by traditional Judaism to be Jewish. However, the Reform movement maintains that a Jew who has converted to another religion is no longer a Jew, and the Israeli Government has also taken that stance after Supreme Court cases and statutes. ("who is a Jew") from Jewish religious authorities and intellectuals worldwide in order to settle citizenship questions. This is far from settled, and occasionally resurfaces in Israeli politics. The total number of Jews worldwide is difficult to assess because the definition of "who is a Jew" is problematic as not all Jews identify themselves as Jewish. And some who identify as Jewish are not considered so by other Jews. 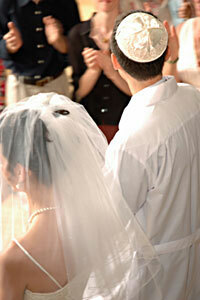 In addition, intermarriage and the declining birthrate have influenced Jewish population figures. Although, conversion to Judaism may help to offset this slightly. According to the Jewish Year Book (1901), the global Jewish population in 1900 was around 11 million. 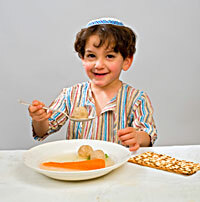 The latest available data is from the World Jewish Population Survey of 2002 and the Jewish Year Calendar (2005). In 2002, according to the Jewish Population Survey, there were 13.3 million Jews around the world. The Jewish Year Calendar cites 14.6 million. Jewish population growth worldwide is close to zero percent. From 2000 to 2001 it rose 0.3%, compared to worldwide population growth of 1.4%. In 2001, 8.3 million Jews lived in the Diaspora, and 4.9 million lived in Israel. Diaspora is the body of Jews, or Jew communities, outside Palestine, or modern day Israel. This is the dispersion of Jews outside of Israel from the destruction of the Temple in Jerusalem in 587 - 586 BC when the Jews were exiled to Babylonia up to the present time. Babylonia was located in Iraq, some 55 miles south of Baghdad. Just about half of the world's Jews reside in the Americas, with about 46% in North America. Approximately 37% of worldwide Jewry lives in Israel. Israel's Jewish population rose by 1.6% the past year, while the Diaspora population dropped by 1/2 %. Europe, including the Asian territories of the Russian Republic and Turkey, accounts for about 12% of the total. Fewer than 2% of the world's Jews live in Africa and Oceania. Metropolitan Tel Aviv, with 2.5 million Jews, is the world's largest Jewish city. It is followed by New York, with 1.9 million, Haifa 655,000, Los Angeles 621,000, Jerusalem 570,000, and southeast Florida 514,000.